Major Surplus Metal Fuel Can 5 Liter | BUDK.com - Knives & Swords At The Lowest Prices! 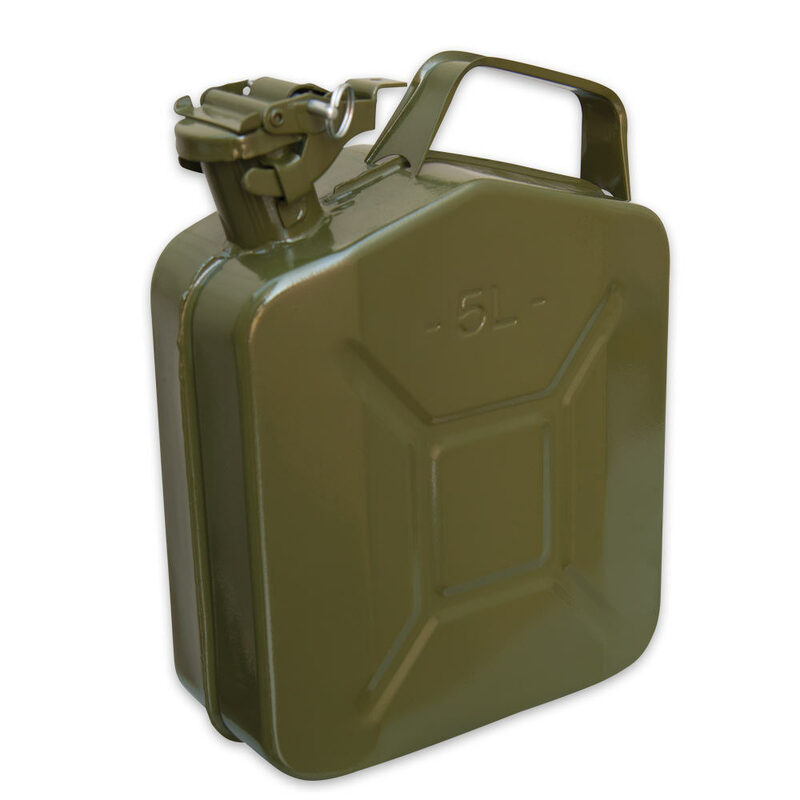 This new, not repainted fuel can is crafted of pressed steel with a welded neck and rolled seams, and offers a 5 liter capacity. The cap has a rubber gasket to prevent leaks from the mouth, and the welded spout has a locking pin to prevent accidental openings. Perfect for refueling lawnmowers, ATVs, chainsaws, etc.